Cuts volume whenever the band gets loud. 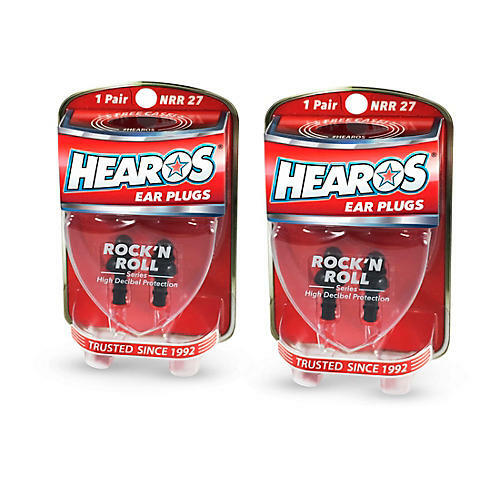 Hearos Rock 'n Roll reusable earplugs have a noise-reduction rating of 22 decibels. They are easy to insert and comfortable to wear. Package includes 2 pairs of earplugs and key chain cases. Now you and your partner can enjoy the show and still talk to each other when it's over. Save your ears for future years. Order today.